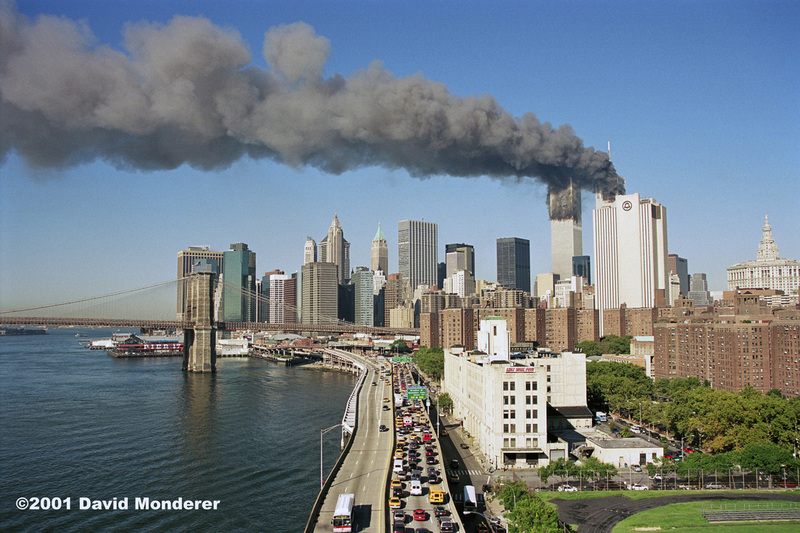 The photo below was taken just a couple of minutes before American Airlines Flight 11 crashed into the North Tower of the World Trade Center at 8:46AM. 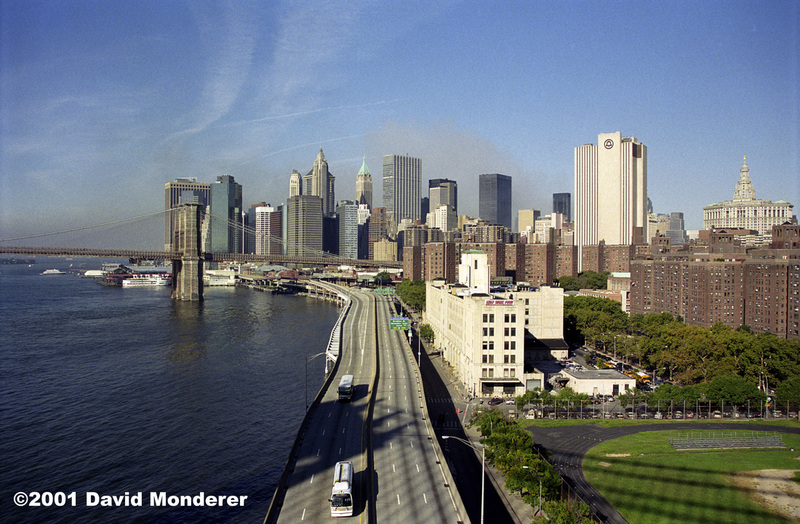 The photo below was taken a few minutes after United Airlines Flight 175 crashed into the South Tower of the World Trade Center at 9:03AM. 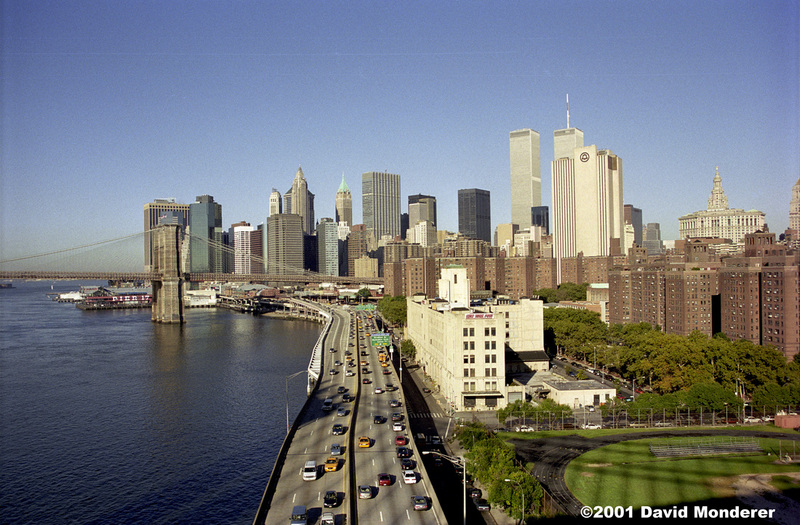 The photo below was taken on 9/17/2001, six days after the attacks on the World Trade Center. There is still a cloud of steam and dust perceptible that continues billow up out of Ground Zero where the towers and WTC7 once stood.